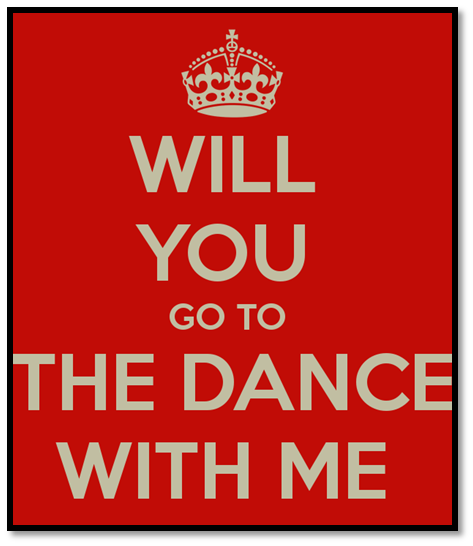 How to ask a girl for a dance? It is not a difficult task to get a girl to dance with you. However, the problem arises at the start, when you are required to ask her for a dance in fluent English. Especially, when you're not too sure about your communication skills. Nonetheless, it's time for you to understand and adapt to the fact that English is a language that the more you practice, the simpler it gets! So, keep aside all your inhibitions and get learning the English language to be able to successfully ask any girl for a dance. Below is a conversation example that will give you a better understanding as to how to go about asking the girl you want for a dance. Situation- You have a college reunion dance in the evening and you need to get yourself a partner to spend the evening with. You've decided to call the girl you secretly had a crush on back in college to ask her to the dance. How should you ideally put your proposal forward in the English language? Jason- Hi Sandra! How have you been? Sandra- I'm doing great. Long time since you've called me... what's going on? How's life treating you? Jason- Life has been good to me too. Got a job, some amazing friends and loads to look forward to, from life. Sandra- That's nice. Happy to hear. What's up? Jason- Well, are you coming to the reunion this evening? Sandra- Yes, of course! Reunions are always fun and cheerful. Jason- I was wondering if you would like to be my partner for the evening. Sandra- Ha-ha! That's so sweet. I would love to Jason. It's been a while since we've been together . Jason- Phew! I thought that would be difficult and was super scared when asking you out for the dance. Sandra- Oh! Come on... There's nothing to be scared of. You know we've been great friends since college. Yes, we did lose touch a year ago yet your place is reserved in my heart. Jason- I'm so glad I mustered the courage to ask you out for a dance. I'm going to pick you from your place at 7 pm. Do you still live there? Sandra- I do. 7 pm sounds good! See you then and make sure to dress your best. Jason- Ha-ha! Sure, now that I have to match your style and charisma. Jason- Looking forward to. Bye San. That's about it! You struck an easy conversation with her and slowly asked her out for a dance. That's the ideal way of doing it right! All you need to focus on is your English communication skills as anybody would like to go out with an individual who is a smart talker. Get an edge above the rest in your spoken English communication skills and watch the difference it makes to your spoken English fluency. eAgeTutor.com is the premier online tutoring provider. eAge's world class faculty and ace communication experts from around the globe help you to improve English in an all round manner. Assignments and tasks based on a well-researched content developed by subject matter and industry experts can certainly fetch the most desired results for improving spoken English skills. Overcoming limitations is just a click of mouse away in this age of effective and advance communication technology. For further information on online English speaking course or to experience the wonders of virtual classroom fix a demonstration session with our tutor. Please visit www.eagetutor.com. 4. How To Invite Somebody For a Birthday Party? 5. How to Answer Phone Calls Smartly in English?